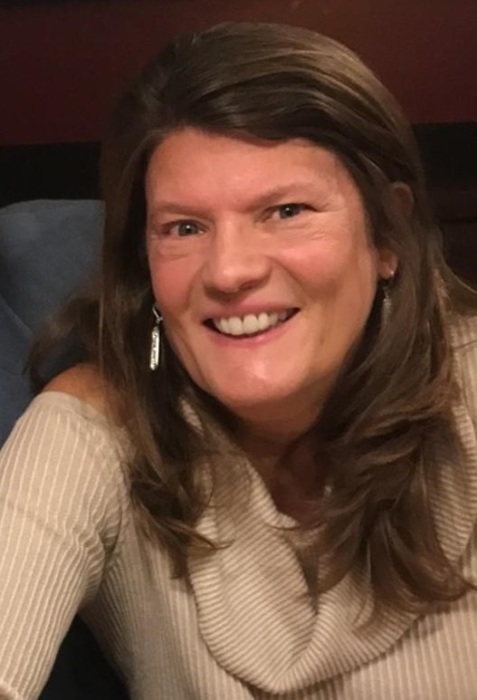 Teresa M. (Fitzgerald) Gurski, 56, passed into eternal life with the Lord Jesus Friday, January 11, 2019 surrounded by her family and many friends. She was born March 21, 1962 to the late John and Agnes Fitzgerald. Teresa’s love for others had an impact on so many. Devoted wife, mother and sister, she enjoyed her family gatherings and time for fun and games. Teresa had a rare and precious character, full of life, laughter and smiles. She sought opportunities to help and encourage all those whom God put in her path. Teresa loved tennis and all her special tennis friends. She enjoyed morning walks at the ocean and especially her quiet times with God reading the Bible and praying. Teresa leaves her loving husband Jeffrey Gurski, her three cherished children: Brian, Matthew, and Haley Gurski, her brothers Patrick and David Fitzgerald, sisters Kathleen Diodati, Maureen Lucas and Rosemary Fitzgerald, along with several nieces and nephews and many friends. Funeral Service will be held Saturday at 10 AM at Bethlehem Church, 123 Allen St., Hampden. Burial will follow in Gate of Heaven Cemetery, Tinkham Rd., Spfld. Calling Hours will be held Friday from 3 to 6 PM at the church. Wilbraham Funeral Home is in charge of the arrangements. In lieu of flowers, memorial donations may be made to Samaritan’s Purse, P.O. Box 3000, Boone, NC 28607.